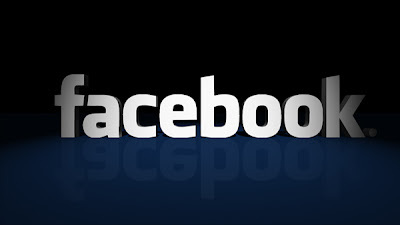 BabyBlueOnline: Did Facebook kill the Church? Is the church of 2010 much different from the church of the '50s, '60s, '70s, '80s, or '90s? I don't think so. So, yes, the church is screwed up. Always has been. The church has been a depressing constant over the generations. So the change isn't with the church. The change is with the Millennials. If so, in what way and how has this change related to the church? Read it all here. Read more from a Roman Catholic's point of view here. 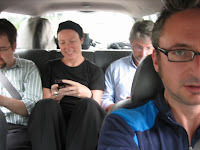 BB NOTE: One of the observations I have over the past five years of seeing the social media revolution take off is that over and over again, as people get close through social media technology, there is still a desire to "meet up" in person. Social media does not replace the in-person contact, it is a new portal that encourages it. Why is that? Why is it, that even with the technology bringing people together by affinities and generation and other types of groupings, still there seems to be a desire to meet in person? Why is that? What seems to be changing is the old fashioned "Front Door." There was a time a church could set up shop, open the front door, and people would come in. It became harder when GenX rolled onto the horizon, as this article acknowledges. But still, the compelling invitation that one could come to church and make friends was promoted, that church was a safe third space to meet others and make friends and yes, learn more about God. However, one of the things much of the church appears to be getting backwards is that the church starts with itself and then goes to Facebook (FB) or other social media spots to promote itself. That is all backward. We see it even on FB when an organization creates a page and begins to list activities going on at the church, like it's a bulletin board. But those pages are flat. There is no interaction. No one has a personal relationship with an organization, we have personal relationships with people. What works best is when an individual posts about something they are doing with a personal touch. Then other friends respond. Then those friends respond. And pretty soon you have a conversation going, branching off into other conversations. These conversations can get quite deep when other types of social media is introduced. Many people really do come to care and often, care deeply for each other. Where I have seen this take off has been in the world of Harry Potter fans. I have learned more about social media from that amazing phenomenon then anywhere else. Here is this extraordinary book series. All these millennials read the book and since it was a seven-part mystery, they wanted to discuss it with others who loved the books as much as they did - and since the books were such a hit, many of these people came from all over the world. So online discussion boards were setup where discussions would breakout over topics such as the infamous "Harry/Hermione vs Hermione/Ron" relationship wars which fascinated the youth and adults alike (and Jo Rowling's later dismissive view that it was all so obvious nearly caused a fanwide meltdown), questions over whether Snape is good or evil, or will Harry have to die, or for me - is J.K. Rowling a latter-day Inkling? Hours were spent writing essays and having conversations about these topics. After a while, many of the regular posters would start to have sidebar conversations and out of those sidebars and online posting, friendships would develop. I became friends with the author John Granger this way. Later those discussion boards gave way to podcasts, where website owners would have weekly podcasts discussing the mysteries in Harry Potter and offer news and discussions. They became so popular that they go the attention of the publishers and studios who finally decided to stop banning the posting of their media online by these fan website and embrace the new social networks. That turned out to be a an extremely smart move. 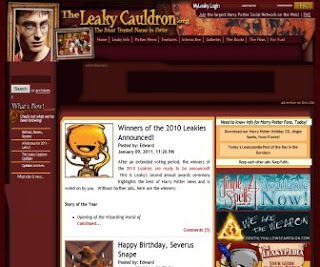 Even J.K. Rowling herself got into the fray, handing out website awards from her own website and making appearances on Pottercast, the podcast sponsored by the fansite, The Leaky Cauldron. From the Podcasts, which were recorded in advanced and uploaded to iTunes, came live webcasting through such media as UStream and YouTube. Now fans could text and participate live while the podcast was being recordered, tweeting through twitter their questions and reactions that ran as a sidebar to the UStream live blogcast during the recording of the podcast. Questions could be asked and answered live. This takes on another level when you move into the virtual worlds, with the additions not just of people texting with screen names, but also participating in 3-D with avatars, as live webcasts offer texting as well as participation in avatar-driven sims environments that add more dimension to the interaction of individuals not only within your own country, but with individuals from countries around the world. And yet, as could be seen in the Harry Potter phenomenon - even with all this social media technology there was still a desire amongst the fans to sponsor meet ups, to have events (like partnering with Borders Bookstores and hosting midnight events when each new book in the Harry Potter series was released), as well as hosting podcasts from other cities around the United States and sponsoring national and international conferences. Now all these fans, who had become friends through the social media outlets, could now meet in person and hang out. The desire to come together in person was not diminished by online socializing, it was indeed increased. With the opening of the new Harry Potter theme park in Orlando, Harry Potter fans now have a center place to gather together, where they can organize meetups and conferences and spend time together discussing their favorite books, offering creative expressions that demonstrate their love for this series, come together and enjoy that interest together as a group - and oh, by the way, have a lot of fun. There is a major one being planned this summer that coincides with the opening of the final film in the Harry Potter series in July. Fans that have belonged to "rival" websites and groups are all coming together for this massive conference - a who's who in "potter fandom." For some, those friendship span from childhood, where many of the leading players who originally designed the websites like The Leaky Cauldron and Mugglenet are all grown up now. But the friendships endure. So the social media is a portal through which people still want to meet in person. It doesn't replace it, it actually encourages it. Oh there are many who use social media to hide. But there are many who use the church to hide as well. That being said, one of the landmark changes that Facebook introduced to the Social Media phenomenon was the fact that it came from the university campuses where - in order to sign up for an acount on Facebook - you had to have an authorized university email address. In other words, you had to be yourself. Unlike AOL or Compuserve, the early e-mail giants where you created a username, Facebook required that you reveal your real self, your real name. That changed everything - and for the church, it changes things for the better. Now there is a confidence that you know who you are talking to. We can learn more about person (for better or for worse) through Facebook than a dozen church dinners could ever produce. If you want to hide, Facebook is not the place to go, unless you want to have an empty profile and lurk instead of post. But of course, we have that in the church too, don't we? A church that can harness the enthusiasm for connection that can be found in the texts and the tweets, that grasps that in those texts and videos and photos there are people, real people, who want to know and be known, to be that space where people can gather to worship and learn and grow into a deeper relationship with God, now that is a church that is going to "the ends of the earth" with the love and Good News of Christ, even if it means beginning one text at a time. Loved this article. So true, so insightful. What Richard Beck is describing is community not Koinonia. On the other hand, I attend a small Orthodox Church in the deep, deep South. Our parish has about a 75-mile radius. Facebook, and the blogs maintained by our priest and our Matushka (the priest's wife) have been extremely helpful as a means of keeping us connected. I suspect that as the price of gas makes it difficult to attend frequently, these media will become even more important. Who wants to sit around in someone's house and have a "love feast" and listen to that fellow Paul go on and on and on? I mean, make it cool and interesting and meaningful to me personally, where I'm at like right now, and maybe I'll check it out. Face it, old folks. It's 60 AD, and I'm the face of Generation LX! I certainly see what you're saying, but it's hard to make something like that happen from the parish, unless it's a church plant and the whole thing is new. 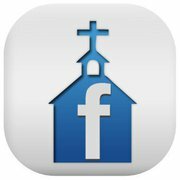 My parish is never quite sure how to use our Facebook page, although I've had a fair number of pastoral exchanges that have taken place through my own. I think that podcasting and other online media is key. It's nice that AnglicanTV exists, but I wish that there were other Anglicans making new social media, in the form of podcasts, youtube videos, interviews, etc. Where's our Ancient Faith Radio or EWTN? Somebody smart should sink some money into that idea, because it just might change everything. 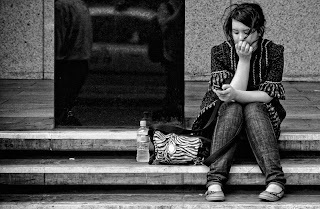 One thing to consider as we move into the coming decade(s), which many in the Church still don't quite get, is that having all this social media stuff is and will increasingly be meaningless in terms of evangelism or bringing people in because the emerging generations simply don't care. They, for the most part, and as the data suggests, are not trolling the Internet looking for church Twitter accounts, Facebook pages, or podcasts - the Church isn't on their radar screens. The success of social media for the Church needs to be organic and not considered just another "program." This is why the people in the pews (and mostly clergy) have to grasp that the future of the Church in terms of members will increasingly be through tactile, inter-personal relationships, not programs or social media (except when programs or social media are truly able to encourage honest relationships - which still isn't quite working). We have to be the image of God (the imago Dei) to those with whom we work or play or study, etc. On our website, we have the Imago Dei Lifestream page where the social media sites of participating members are gathered and streamed. This can be awkward, sometimes, but new people coming to the site see what our members are actually doing in their real lives - the good, the bad, and the sometimes ugly. This doesn't always present the sanitized version of "Christianity" that we might like, but it is real and authentic. It is our hope that as we are re-formed by the Holy Spirit that we increasingly reflect the image of God.